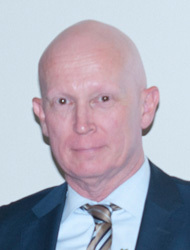 Hugo ten Cate is professor of clinical thrombosis and hemostasis at the Cardiovascular Research Institute of Maastricht University Medical Center (CARIM). He is one of the world’s most productive and successful researchers in the field of hemostaseology and already published well over 200 articles in leading journals. His expertise extends beyond the boundaries of his subject, ranging from clinical hemostaseology to vascular biology.